March Madness - A time for all who love Basketball! 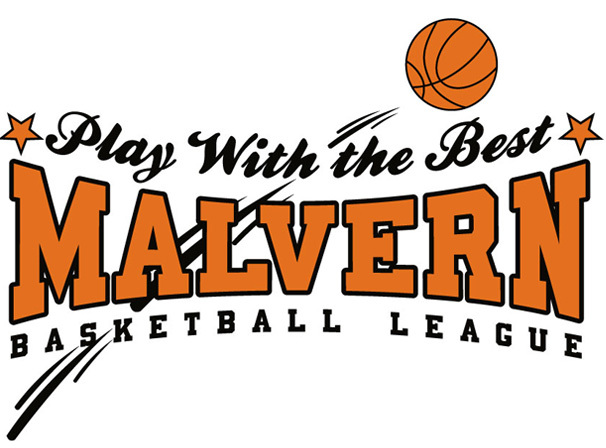 Not long after the champs are crowned, The Malvern Basketball League will be getting ready for another fun-filled summer of hoops. We are looking forward to another excellent turnout this summer and the anticipation of playing in AIR CONDITIONED facilities. All registration paperwork and fees must be dropped off or mailed to Malvern Basketball League, 627 N. Speakman Lane, West Chester, PA 19380. Checks should be made payable to “Malvern Basketball League”. One check for the total team fee is preferred. The team fee this summer is $1,200 (up to 12 Players). This year we are offering a $50 team discount when full payment ($1,150) is received by May 1st. The fee for any additional players over 12 is $95 per player (up to a maximum of 15 team players). You may add players to your roster after May 1, but if you do add players, the additional registration fees must be submitted prior to your first game. In order to register your team, a minimum initial payment of $500 are due May 1st with a grace period extended until May 8. Even if you make a verbal or email commitment, all team rosters and coach’s information paperwork must be submitted by May 8. We will order your shirts and place your team in the scheduling process after we receive the paperwork and initial payment. The balance of any registration fees is due by June 1. As a reminder, when filling out the forms, please clearly indicate the team name, the skill level and the gender. Those 3 items seem to be omitted most frequently when we are reviewing applications, so your cooperation is appreciated. Also, PLEASE REMEMBER THE GRADE LEVEL IS DETERMINED BY THE GRADE THE PLAYERS WILL ENTER IN SEPTEMBER 2019. When determining the skill level of your team, if you have a very strong, competitive team, you may sign up in the next higher grade level. Shirt & Schedule Pick-Up will be at 627 N. Speakman Lane on Sat. June 1 & Sun. June 2 between 2pm and 5pm each day. Game Schedules will be handed out to the coaches at the shirt pick-up. Additional players can be added to the roster up until your first game, but you must inform Kevin McCarry of the additional players. Games will begin June 10th and the league will end by July 18th. As usual, all games will be played Monday through Thursday evenings. All teams will play a 10 game schedule. This year we will be taking our customary July 4th holiday break between June 28 thru July 7 and no games will be played on those days. Games will resume Monday July 8. The Malvern Summer League is primarily a TEAM league but we try to accommodate individuals by “drafting” them on teams that need to fill roster spots. The initial placement of individuals will occur during the Shirt Pick-Up weekend, June 1 & 2. Coaches who need to fill roster spots will be given available players when you pick up your shirts. Another REMINDER, the team/Coach is responsible for the total team fee of $1,200 even if the coach decides not to select any draft players to fill the roster. The head coach, assistants and team coordinators MUST sign up for our Email distribution list. This is our main means of communication before and during the season. The Email sign up can be found on the link in the middle of the home page (orange box). Regarding practice time for the summer season, coaches usually conduct practices at outdoor facilities and / or driveways prior to the start of the summer session. We are also looking for High School or College age students who are interested in earning some extra money being a scorekeeper. Please email or call us if interested. At John's Sneaks we have been in business for 41 years. We stock all basketball shoes at 20-50% off retail, as well as running shoes for kids, women and men at up to $70 off. We sell sneakers for as low as $29.99. Check us out on facebook at John's Sneaks or click the image above. We are conveniently located in Ardmore, PA.